We, the Heads of State and Government of the African Union (AU), meeting at our 16th Ordinary Session in Addis Ababa, Ethiopia, from 30 to 31 January 2011, are mindful of the vital importance of this critical moment of Sudan’s national history. 1. We congratulate the people of Sudan on the successful achievement of the principal pillar of the January 2005 Comprehensive Peace Agreement (CPA), the referendum on self-determination for southern Sudan. This success confirms the commitment of the Sudanese people and their leaders never to return to war, and hitherto to resolve any differences that may arise exclusively by peaceful means. 2. We hail the courage, vision and steadfastness of the Government of Sudan (GoS), under the leadership of President Omar Hassan al Bashir and First Vice President and President of the Government of Southern Sudan (GoSS) Salva Kiir Mayardit, which has made possible this momentous achievement. Our continent stands shoulder to shoulder, equally with these two national leaders, as they fulfill their historic responsibilities. 3. We commend the people of southern Sudan, whose choice has been clearly, freely and credibly expressed in the referendum. The African Union looks forward to solemnly accepting the outcome of the referendum as soon as it is formally proclaimed by the competent authorities, and calls upon all States to do so, and to extend such assistance and cooperation as may be required for South Sudan to achieve the development that its long-suffering people deserve. 4. We extend our solidarity and that of the entire continent to the people of northern Sudan, who have taken the unprecedented and generous step of accepting self-determination for their brethren. Africa legitimately looks forward to the complete normalization of relations between the international community and the Republic of Sudan, to ensure that all the peoples of Sudan can enjoy peace, dignity, democracy and development. In this respect, we call upon Sudan’s creditors around the world to expeditiously and comprehensively relieve the country’s external debt, ensuring that Sudan’s special circumstances receive special treatment. 5. In that spirit, and noting the personal and unwavering commitment of President Al Bashir to sustaining peace between northern and southern Sudan and do all he can for the early resolution of the crisis in Darfur, we, once again, call upon the United Nations Security Council immediately to invoke Article 16 of the Rome Statute and suspend any actions against President Al Bashir by the International Criminal Court. In responding to this call, the Security Council would be acting in accordance with its responsibilities for the maintenance of international peace and security and would greatly facilitate the ongoing efforts by the AU to help the Sudanese parties achieve lasting peace, security, justice and reconciliation. 6. In its fifty five years as an independent nation, Sudan has faced exceptional challenges, inherited from its colonial past. 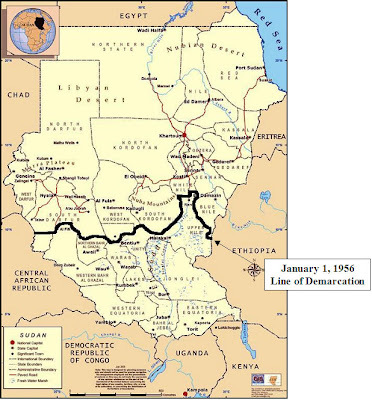 Recognizing the unique nature of its national question, the Sudanese leaders resolved, in 2005, to grant the right of self-determination to the people of southern Sudan. 7. Drawing inspiration from Resolution 1514(XV) on the Declaration on the Granting Independence to Colonial Countries and Peoples, whose 50th anniversary has just been celebrated by the international community, we value and uphold the right of self-determination of peoples under colonial rule, which was indeed duly exercised by our own nations to achieve independence, and which continue to be relevant to the peoples of the non-self-governing territories listed as such by the United Nations General Assembly. 8. We acknowledge that Sudan represents an exceptional case, which, in no way, calls into question the sacrosanct principle of respect of borders inherited at the accession of African countries to independence. We reaffirm our determination to ensure full respect of this principle and to forge ahead with our agenda of integration and greater unity among our countries, as foreseen by the founding fathers of the OAU and as enshrined in the AU Constitutive Act. We welcome and support the commitment made by the leaders of Sudan to respect the will of the people in Southern Sudan and, should the latter vote for separation, to establish two viable states, mutually supportive, at peace with one another, and cooperating in the fields of economics, security and international relations. We emphasize that, in such a case, northern and southern Sudan will be equally African nations. The separation of southern Sudan, in no way, dilutes the African identity of northern Sudan. Both entities will move forward in the Sudanese tradition of building strength from diversity. 9. Sudan has the utmost importance to the African continent. It spans the diversity of our continent, bringing our peoples together in a great melting pot. The achievement of peace, democracy and development in northern and southern Sudan promises to help lift the entire continent. Sudan’s ability to overcome the formidable obstacles in its path stands as a testament to Africa’s capacity to resolve its conflicts and achieve our common goals. Conversely, Africa cannot afford to see Sudan again plunge into turmoil. 10. In that spirit, we welcome and endorse the commitment of the Government of Sudan to resolve the conflict in Darfur, by supporting and participating in the Darfur Political Process, which will build on the outcome of the Doha peace process. The AU calls upon the Darfur armed movements to participate immediately in the Doha peace talks, so as to achieve a ceasefire and lay the foundations for an inclusive and holistic peace agreement for Darfur. 11. We call upon the Sudanese parties to resolve speedily the remaining issues in the Comprehensive Peace Agreement, including a settlement of the question of Abyei, the convening of Popular Consultations in South Kordofan and Blue Nile States, and the demarcation of the common border and resolution of the status of disputed areas. We urge the parties to proceed rapidly to agree on post-referendum issues, including citizenship, security, a soft border, and all questions relating to economics and natural resources. 12. We express Africa’s solidarity with the entire Sudanese people, and welcome equally North and South Sudan and the emerging post-referendum situation, as building blocks for the ongoing project of African integration. Having achieved peace, the Sudanese people are now able fully to participate as effective actors and beneficiaries in the common African endeavor of shared prosperity and continental unity.